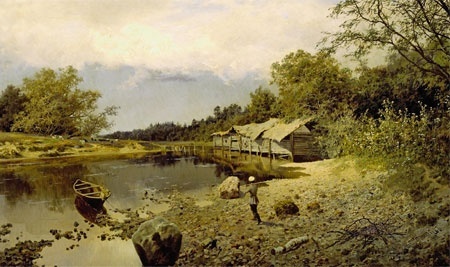 Alexander Kiselev (1838–1911) was a landscape painter, a member of the Wanderers group, a professor at the Imperial Academy of Arts and a brilliant teacher of many well-known Russian painters. The end of the 19th and beginning of the 20th centuries was an exciting period when one “…ism” in the visual arts replaced another regularly. Yet as Kiselev’s contemporaries always noted, the painter was so full of love for life that his paintings were a “triumph of light”.